This page Class is part of the social class series. This page Class is part of the classics series. 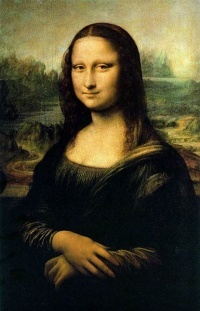 Illustration:Mona Lisa (c. 1503–1519) is an oil painting by Leonardo da Vinci, one of the most famous paintings in the world. This page Class is part of the classical antiquity series. Unless indicated otherwise, the text in this article is either based on Wikipedia article "Class" or another language Wikipedia page thereof used under the terms of the GNU Free Documentation License; or on original research by Jahsonic and friends. See Art and Popular Culture's copyright notice. This page was last modified 21:55, 25 December 2013.